The time to honor this little white cup is long overdue. 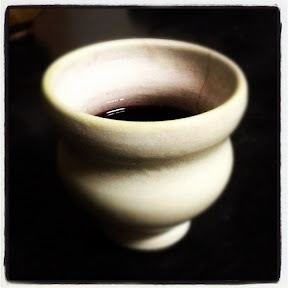 Wine drinkers tend to turn their thumbs down when considering the 'umble pot for their Zin, but not this potter! I got this cup from my good friend Rick Hensley years ago and it has been my go-to cup for my red wine. Like many of life's best experiences, it's only in reflection that one has the inclination to wonder of the mysteries that contribute to a memory that lasts. Puzzlement, a tugging at one's understanding is what a good pot prompts. The feel of the glaze. The fit in one's hand. 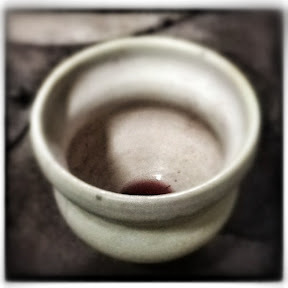 The undrinkable pool at the very bottom of the cup that remains with gravity's insistence. 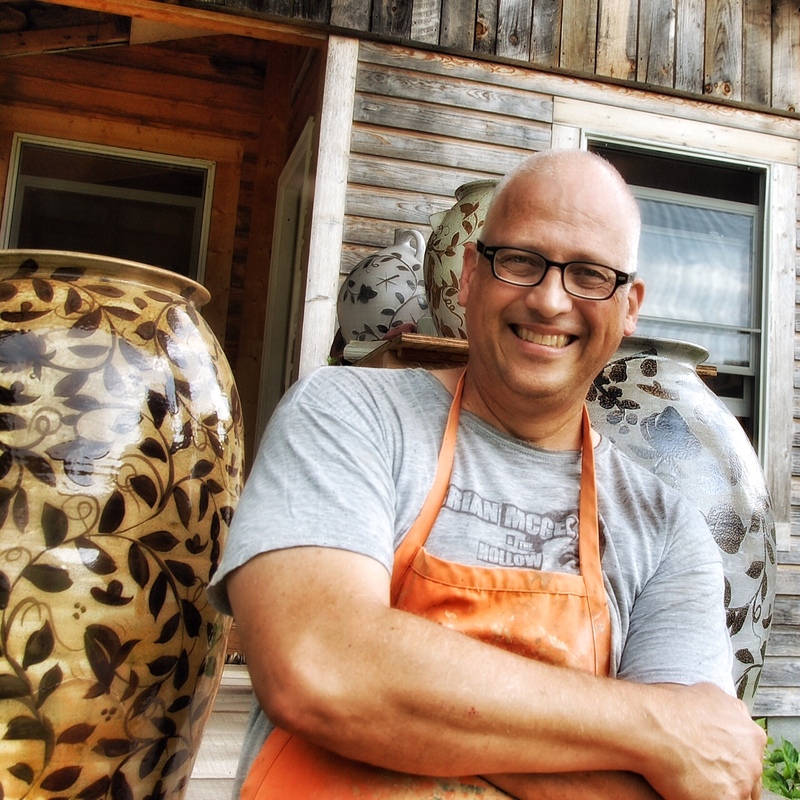 The 'why' and 'how' of a good pot is our life searching and the answer may never come from too direct a viewing, but maybe from countless glances, like stars in the sky or glare of the sun.